Do you owe taxes on Roth IRA principal withdrawals? Despite what you may have heard elsewhere, the answer is no. Withdrawing your original contributions is always a tax-free, penalty-free event. Only early withdrawals of earnings, interest, capital gains, rollover funds, or conversion funds from your Roth IRA will trigger the dreaded 10% early withdrawal penalty and/or income taxes. So what's considered an early withdrawal? The first is self-explanatory, and the latter is known as the 5 year rule. But those two conditions only apply to you if you're making a non-principal contribution withdrawal. Roth IRA principal withdrawals don't need to meet those rule requirements. So what are Roth IRA principal withdrawals? And why are they tax-free? 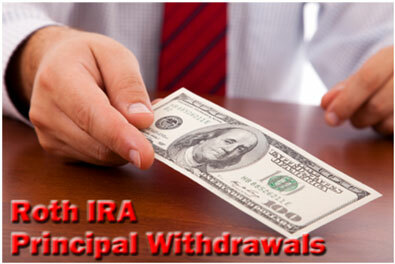 A principal withdrawal is simply a distribution of part or all of your total annual Roth IRA contributions. By definition, this doesn't include interest, capital gains, dividends, or converted funds. For instance, let's say you make ten annual $5,000 contributions to your Roth IRA. At the end of those 10 years, you have $200,000 in your account. Of the $200,000 balance, $50,000 is the direct result of your ten $5,000 annual contributions. This $50,000 is your Roth IRA principal - it's made up entirely of your original contributions. And unlike your annual contributions to your 401k or your Traditional IRA, Roth IRA principal withdrawals are always tax-free and penalty-free! So why is it that Roth IRA principal withdrawals are always tax-free and penalty-free while other retirement accounts tax and penalize early withdrawals? Well, unlike traditional retirement accounts, you fund your Roth IRA with after-tax dollars. This means you paid income tax upfront before you made your contribution. In contrast, most retirement accounts are tax deductible, meaning you reduce your taxable income and make contributions with pre-tax dollars. Since you already paid income taxes on your Roth IRA contributions, the IRS doesn't tax you a second time if you withdraw them. However, any earnings your receive as a result of investing your Roth IRA contributions have NOT been taxed, and they'll continue to grow tax-free if you leave them alone until after you reach age 59 ½. But if you withdraw them early, then the IRS will likely impose income taxes as well as a 10% early withdrawal penalty. For example, let's say you're 32 years old, and you have a Roth IRA account worth $60,000. You're also in the 20% income tax bracket. If you withdraw $25,000, then you're making a tax-free Roth IRA principal withdrawal, and you don't have to worry about taxes or penalties. But if you withdraw an additional $15,000, you're withdrawing conversion funds early, and you'll owe $3,000 in income taxes (20% of $15,000) as well as $1,500 from the 10% early withdrawal penalty. Finally, if you withdraw the remaining $20,000, you're withdrawing investment gains early, and you'll owe an additional $4,000 in income taxes (20% of $20,000) as well as $2,000 from the 10% early withdrawal penalty. Roth IRA principal withdrawals are always tax-free and penalty-free. Since you're withdrawing your original contributions made with after-tax dollars from the income you generated, the IRS does not impose penalties on you for withdrawing those same funds. If you're on the fence as to whether or not you should contribute to a Roth IRA or a traditional retirement account, then this unique feature provides you with an advantage. 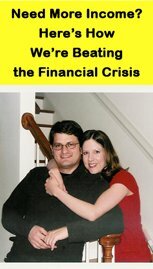 Since your annual contributions can be withdraw tax free for any reason at any time, they double as a sort of emergency fund in times of financial disaster. So if, for whatever reason, you need to withdraw your original Roth IRA contributions, feel free to do so without worrying about taxes or penalties.